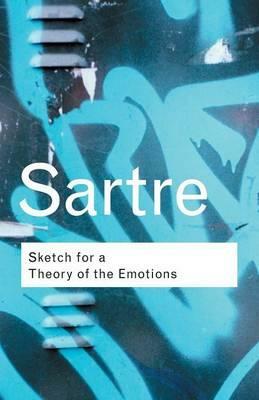 Although written fairly early in his career, in 1939, Sketch for a Theory of the Emotions is considered to be one of Jean-Paul Sartre’s most important pieces of writing. It not only anticipates but argues many of the ideas to be found in his famous Being and Nothingness. By subjecting the emotion theories of his day to critical analysis, Sartre opened up the world of psychology to new and creative ways of interpreting feelings. Emotions are intentional and strategic ways of coping with difficult situations. We choose to utilize them, we control them, and not the other way around, as has been posited elsewhere. Emotions are not fixed; they have no essence and indeed are subject to rapid fluctuations and about-turns. For its witty approach alone, Sartre’s Sketch for a Theory of the Emotions can be enjoyed at length. It is a dazzling journey to one of the more intriguing theories of our time.